I hope you had a great weekend & a fun St. Patty's day! We were on the road all day on Friday and got back home late that night, so no fun for us! Anyway, this dress is perfect for Spring! The pleated detail is so cute and I really like the loose fit of it! 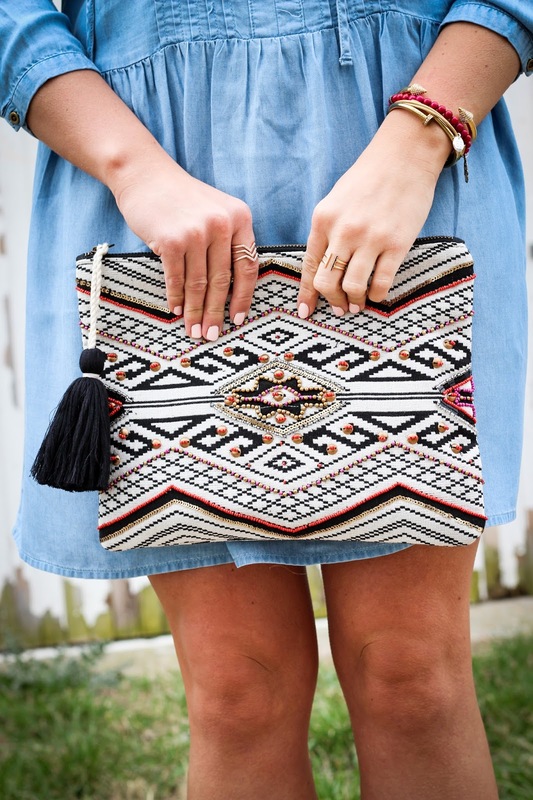 My clutch is from last summer, but Sole Society has another similar one available this season, which I have linked above and a few other ones in the widget below! THESE wedges are my new faves!! Seriously love them! They are super comfortable as well! And you can't beat the price!